Even through that was the last competition of the year, we trained pretty much as normal, including the dark and cold mid-week evening sessions, but we did factor a lighter week in the lead up to Christmas to give Aslan and me a bit of a break, and also so we could maximise our training time together over the holidays. 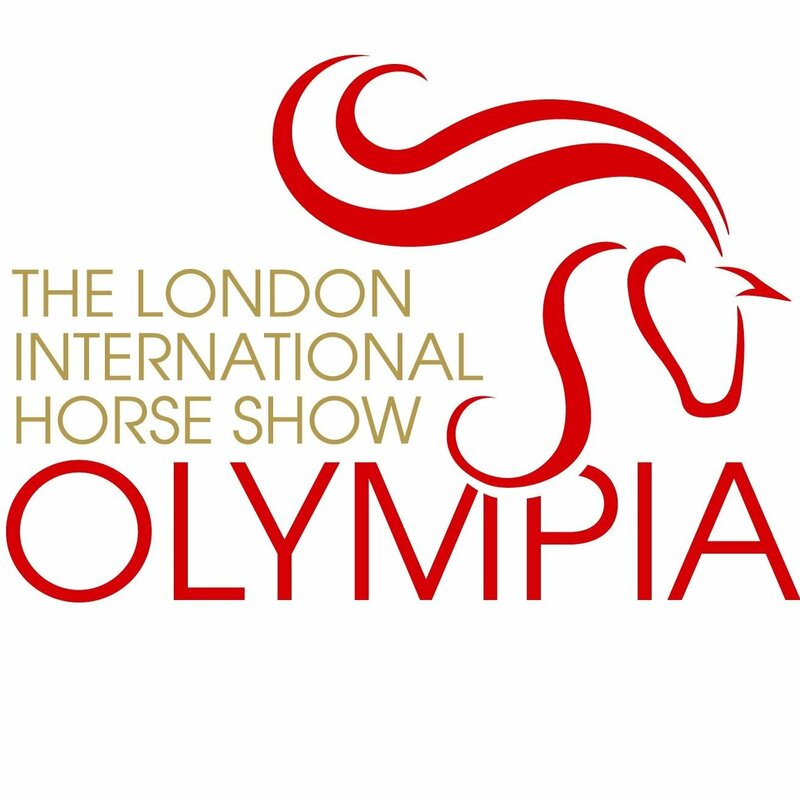 The lead up to Christmas also had the excitement of going to the London International Horse Show at Olympia for the first time. Having never before and I very excited, giving my Dad a hard time as we battled through the traffic to get into town in time. But it was worth it and absolutely lived up to my expectations and more. We got there just in time to see the Metropolitan Police Activity Ride which was amazing (how do they do that?) I We were also treated to a master class by Carl Hester with Charlotte Dujardin riding a demonstration on Carl’s new horse Hawtins Delacato, while he explained what he was looking for. It was just amazing to watch, let alone listen and learn. I found this great video of it someone posted on youtube and while I haven’t included it here there is a second part you can find too. The main event was the FEI World CupTM Dressage Freestyle to Music competition which was incredible to see at this level and resulted in a really exciting finish with the Swede Patrik Kittel just beating GBs Emile Faurie, who actually teaches my coach Sacha Hamilton. My Dad even liked Patrik’s music and insisted on playing Gun ‘n’ Roses in the car all the way home, to be honest it was a bit more rock ‘n’ roll than usual, Dad was made up and we agreed we should make it an annual event! That was it for December really, but I do want to reflect on our achievements for 2017, which has been an incredible year and has gone so so quickly when I look back. In January we launched this website (with a bit of help from my Mum and Dad but it’s all done by Team IlseDressage with no professional help!) I received the support of Charles Owen (who provided me with my first dressage helmet which they have done again this year) and gained the sponsorship of Fitness4Less who provided me with a personal trainer all year as they continue to do. In February I owned my own saddle for the first time, helped by funding from The Royal Bank of Canada through a grant provided by SportsAid who sponsored me after being recommended by the British Equestrian Federation. Aslan and I also competed in our first Winter Nationals this year, competed our first Team Test and by April had competed in our first Home International too for the Central Region. In May Aslan and I celebrated our first anniversary, and by July we had represented GBR for the first time and in our first CPEDI 2* International at Bishop Burton where we also competed our first Freestyle to Music. By September we competed our first Summer Nationals, and in November I became 16 and a brand ambassador for Equilibrium Products. I met Olympic and Paralympic medalists, competed at the same event as Sophie Christiansen (my inspiration to start competing) and I even met Eddie the Eagle! We started competing the Individual Championship Test in the Autumn, and we finished the year with half the points we need to compete at next year’s Winters at Gold rather than Silver which we did this year. All this and I completed my first BEF Excel Talent Programme and was reselected for the next, still the youngest para in the squad. What a year! I am very proud of our progress this year and I am looking forward to an exciting 2018. We have worked hard as a team and I am very grateful for all the support we get, so to finish the year I want to say thank you. Thank you of course to my Mum and Dad who make all of this possible. Thank you to whole family especially my brother Dylan and sister Grace who have to put up with an equestrian sister. Thank you to my Coach Sacha and Personal Trainer Iain Duncan. Thank you to everyone at the yard and the liveries too, including Emma who has loaned me her lorry to get to competitions and Sarah for her music and compiling my first Freestyle. Thank you to all the BEF coaches and professionals at the Excel Talent Programme. Thank you to all the judges and stewards and competition organisers. Thank you to all the other athletes and competitors who inspire me to be the best I can be. Thank you to my sponsors and supporters Charles Owen, Fitness4Less and Equilibrium Products, and The Royal Bank of Canada and SportsAid. Thank you to my friends for listening to my horsey stories even though they don’t like horses. And thank you to everyone who follow me and like my posts on Facebook and and everyone who read this blog and everyone else I have forgotten to mention. Thank you all and Happy New Year everyone.